PondWater is a super greens powder supplement like no other! A green superfood powder with 4 x Organic Supergreens + Aloe Vera, designed to make your green drinks…even greener! 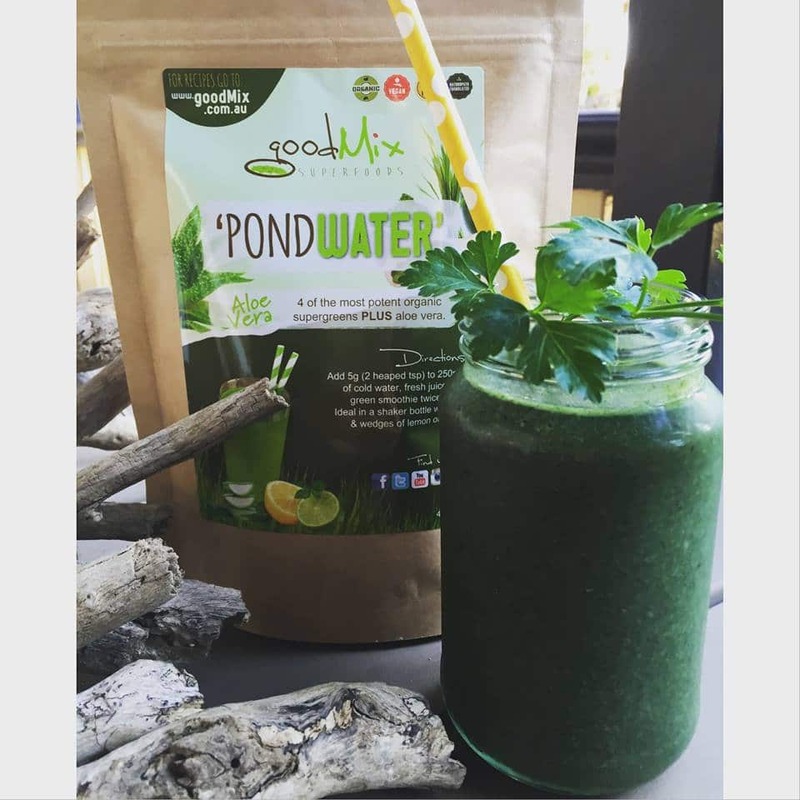 PondWater is an organic Supergreens + Aloe Vera powder supplement, designed to make your green drinks…even greener! Add to green smoothies, fresh juices, shakes or just combine with water & a dash of lemon or lime. Quality Aussie grown grasses (tested both just after harvest & at mixing stage to be gluten free by the way), algae & pure-inner leaf aloe vera – that’s all. No numbers, no fillers, no sweeteners, no cheap fruit & veggie powders…this is superclean & supergreen. It’s like eating a bucket load of green veg on steroids!! 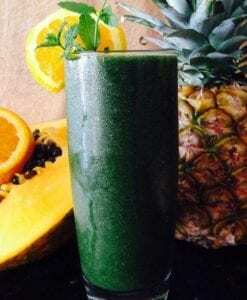 Highly concentrated greens, quick & easy – no excuses! Each 200g packet contains 40 x 5 gram serves; 500g 100 x 5 gram serves . It’s not exactly delicious, but it’s definitely worth it! You can make it taste yummy in a smoothie (check the recipe section) & even the ‘unmasked’ Pondy taste WILL get easier to handle with time, we promise! 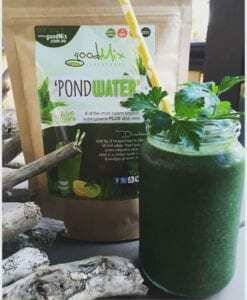 If you’re not into reading / researching the individual ingredients, one way to find out what happens if you drink PondWater – is to hang around at a market stall until a regular user stops by…there are many ‘raving fans’ of the green stuff who will be happy to share their experience with you!! 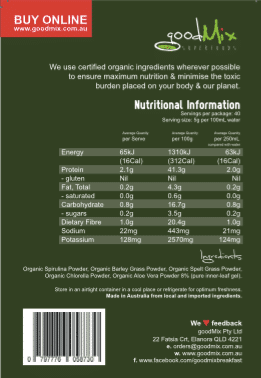 All Organic – Spirulina, Chlorella, Barley Grass, Spelt Grass, Aloe Vera. No fillers, flavours or sweeteners!